Let's travel the world! 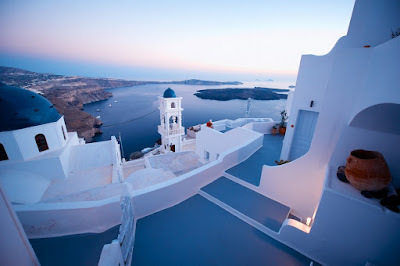 : Amazing Santorini! 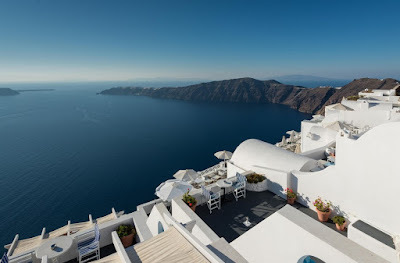 Santorini or Thira as it is otherwise named, is one of the most beautiful, romantic and intriguing Greek island. It is the most southern island of the Cyclades in the south of the Aegean sea. 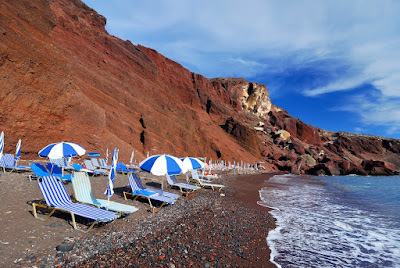 There you can see the most stunning sunsets, amazing white, red and black sand beaches, beautiful scenery with impresive traditional houses, balconies with view to the Volcano, all the above, along with the remains of the antiquity and the myth of the Lost Atlantis make it as of the most stunning island not only in the Greece but all around the world. 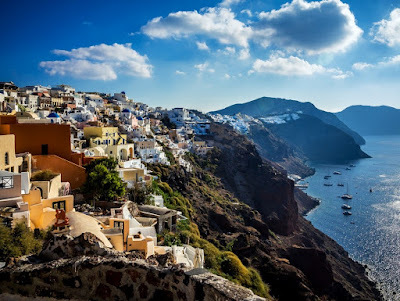 Fira, Oia, Imerovigli are just some of the villages that are built into the cliffs with magnificent view of the Aegean sea, the volcano and the nearby islands of Ios, Folegandros and Sikinos. Black beach of Kamari, Santorini, Greece. 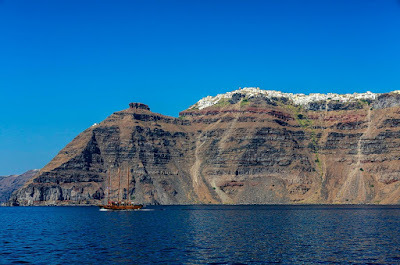 Santorini is essentially what remains after an enormous volcanic eruption that destroyed the earliest settlements on a formerly single island, and created the current geological caldera. The active volcano of Santorini erupted in the 50's and ruined many towns of the island. 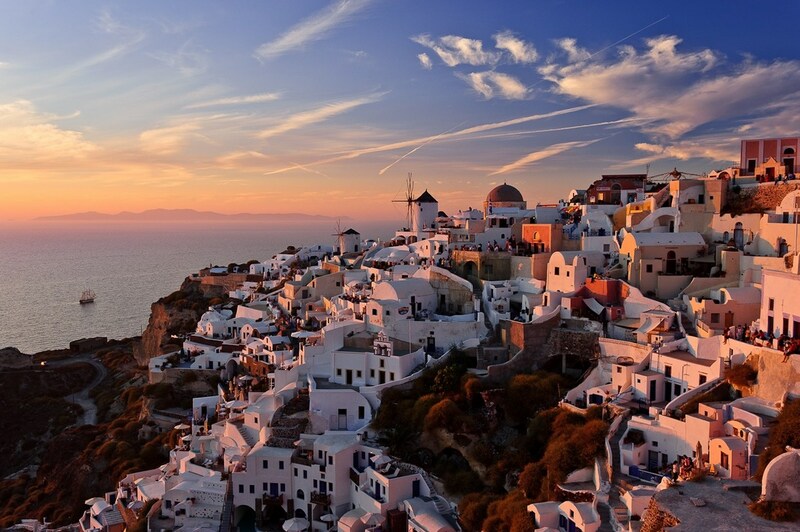 Santorini's capital is the town of Fira. 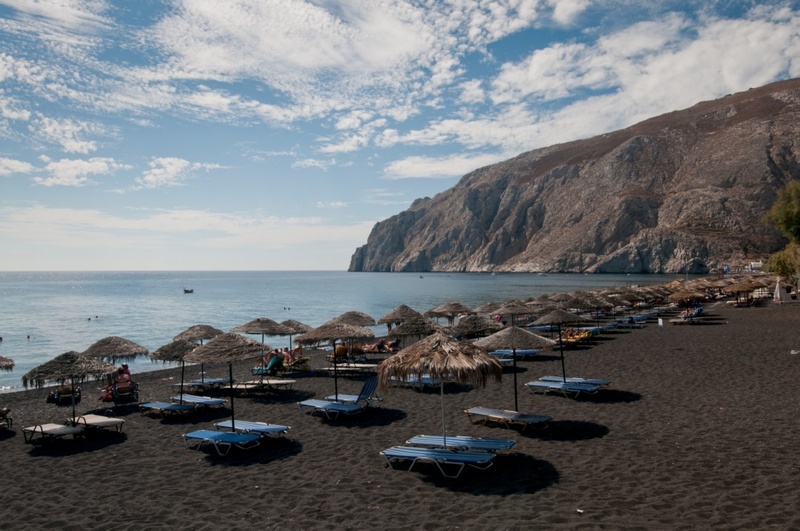 Santorini and Anafi are the only locations in Europe to feature a hot desert climate. 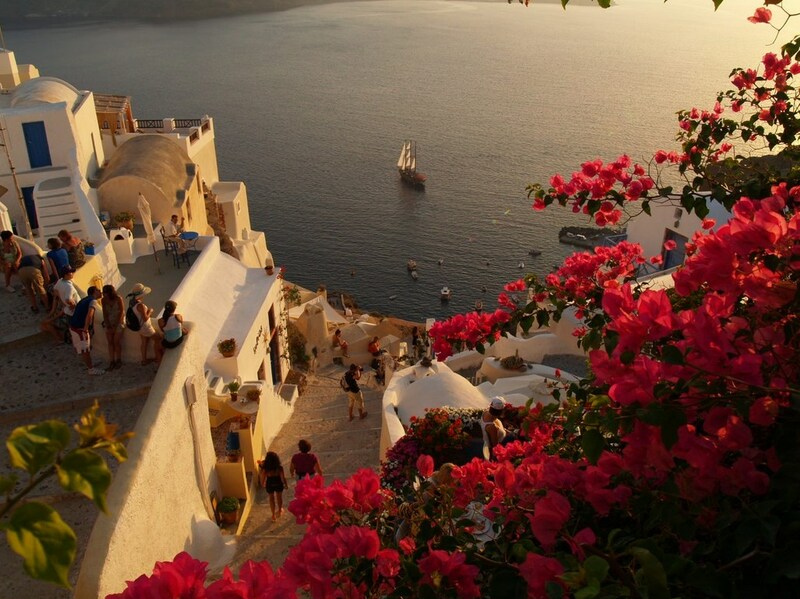 Santorini generally experiences two seasons. April to October is the warm and dry season and the cold and rainy season lasts from November to March. The beautiful village of Oia, in Santorini. Lovely place! I heard so much and seen so many photos, so this island is totally on my bucket list!